27four is a leading transformation specialist assisting South Africa’s largest retirement funds and private and public sector institutions achieve their B-BBEE goals. We are well recognised for setting the agenda for black industrialisation within the savings and investments industry. Since 2007, 27four began conducting monthly and annual industry-wide surveys of black fund management firms in South Africa. These surveys have evolved and developed to become the leading source of respectable data and intelligence for policy makers and the investment community to accurately evaluate and understand this sector. It also provides asset owners access to a new generation of black investment firms that are typically excluded from mainstream consultant searches. The research undertaken by 27four therefore allows investors and policy makers to assess the many challenges presented and celebrate the many achievements realised, thereby providing a foundation upon which investment strategy and policy can be developed. Provides the most comprehensive review of the industry, covers a wide range of subjects, includes expert commentary, key trends from recent years, historical statistics, league tables and results. The study offers exclusive insight into the latest developments affecting the industry. Provides risk and performance data of black asset manager funds across asset classes. South African asset owners recognise that B-BBEE is a necessary tool to redress the economic distortions created by apartheid. They acknowledge that such distortions, if not remedied, will result in an unstable and vulnerable economy that threatens their ability to generate sustainable investment returns on behalf of their members. As such, they understand that achieving good returns and investing sustainably are not mutually exclusive. Maintaining this balance is a fiduciary responsibility that many South African asset owners are taking very seriously. However, our research has identified that for many asset owners articulation and implementation of transformation plans is weak and fragmented resulting in countered outcomes. Our many years of experience in helping retirement funds achieve their transformation goals has allowed us to develop advanced proprietary processes that are designed to achieve meaningful outcomes. We work closely with our clients to workshop their goals, ensure regulatory alignment of those goals and design policies that represent their roadmap through which goals are given effect. This is supported by close monitoring of the strategy to ensure that the retirement fund remains on track to meet their transformation objectives. A socio-economic assessment to measure the direct impact of the retirement fund’s efforts on the overall economy is also conducted, aiding asset owners in making evidence-based decisions. Drafting and implementing your B-BBEE investment policy. Asset allocation, manager selection, portfolio construction and risk management. Helping you access the leading B-BBEE asset managers across asset classes and lifecycle. Daily risk management and monitoring. Measuring the socio-economic impact of allocating to B-BBEE asset managers and suppliers. Retirement fund B-BBEE Scorecard measurement and disclosure. Our many years of experience in helping retirement funds achieve their transformation goals has allowed us to develop advanced proprietary processes that are designed to achieve meaningful outcomes. The Financial Sector Code (FSC) is the B-BBEE framework for the financial services industry. Retirement funds play an instrumental role in the South African economy in that they are responsible for taking care of the retirement savings of our people. They are also the largest procurer of private sector financial services. For this reason the FSC has introduced a new scorecard targeted specifically at retirement funds. The top 100 retirement funds (including umbrella funds) are now required to complete a B-BBEE scorecard and provide additional disclosures. While voluntary for now, mandatory reporting is expected to follow after the initial 12 month review period from date of gazetting which was 1 Dec 2017. Given the multifariousness of B-BBEE legislation, we provide retirement funds with professional guidance and support on how to apply the Retirement Fund Scorecard and employ a process to support procurement decisions to ensure implementation of a sustainable transformation and reporting framework. We assist retirement funds to institute a robust and efficient supply chain management process. This involves the collection, collation and storage of service provider information. Ensure alignment of the retirement fund’s Investment Policy Statement (IPS) to its Transformation Policy and Preferential Procurement Policy. Institute review mechanisms to measure the success of the retirement fund’s transformation strategy and actions to be taken to address weaknesses. This includes the provision of regular reporting to monitor progress against targets. Empower trustees to have a good understanding of its service providers’ medium- and long-term transformation plans, including the setting of targets for suppliers and engaging and influencing service provider transformation plans. Continuously seeking out opportunities to improve procurement spend and the composition of its board of trustees and management team. The shortage of black asset management companies in South Africa. The lack of a sustainable model to grow black investment talent and skill in South Africa, which nurtures the managers, yet protects retirement fund investors against the pitfalls of ‘unproven’ incubation. Investing retirement fund assets demands prudence and process, which lead to the need for an investment platform that gives trustees the required comfort and value, while allowing retirement funds the opportunity to support development within the industry and to invest with premium untapped black investment talent. The role of the Incubator is to source premium black investment talent, create seeding opportunities for start-up and emerging black fund managers in their early stages of growth, and assist these managers to grow their businesses and achieve the critical mass required for long-term sustainability. Once sustainability has been reached, managers graduate from the Incubator to make room for new managers seeking early stage support. Following graduation, the manager joins the ranks of other mainstream mature managers in South Africa. Incubation requires specialist skills and processes that go beyond just a ‘hand-out’ of assets to fund start-ups and emerging managers. 27four provides the environment to ensure that start-ups and emerging managers are successful. Our model is designed to help the managers transition into credible institutional players through the provision of ongoing guidance and support. We have specifically addressed investor concerns regarding the risk of investing in managers with unproven track records and as yet undemonstrated skill, by employing stringent risk management controls and a comprehensive daily performance monitoring plan that continuously monitors mandate compliance. It is a responsibility that requires rigorous oversight, monitoring and evaluation that is more comprehensive than is required with mainstream asset managers. Potential candidates are put through a rigorous due diligence process that involves a thorough evaluation of their skill and offering. Managers must satisfy our selection criteria and pass through our internal Investment Committee evaluation process before being considered for the Incubator program. Candidates must display a long-term commitment, have a definite definable edge and have the necessary entrepreneurial aptitude to manage and grow a business. Candidates must have a successful verifiable historic track record. Incubation requires specialist skills and processes that go beyond just a ‘hand-out’ of assets to fund start-ups and emerging managers. We will tailor a solution based on a retirement fund’s unique requirements. The Progressive Smooth Bonus Fund is the first and only empowered smoothed bonus portfolio in South Africa, managed by black asset managers and guaranteed by Sanlam. What is unique about this fund? It is a smoothed bonus portfolio where volatile investment returns are smoothed by way of monthly bonus declarations, thereby lessening the roller-coaster ride that investors in market-linked portfolios might experience. These monthly bonuses are designed to grow members’ retirement savings in a smooth and stable manner and limit downside risk. All the underlying asset managers in the portfolio are more than 50% black owned, managed and controlled. The portfolio has an 80% guarantee level on book value, which consists of capital, contributions and declared bonuses. Book value is paid on retirement, death, disability, resignation and retrenchment. Who should invest in this portfolio? Progressive retirement funds that see economic empowerment as a national priority. Retirement fund members who require the volatility of the financial markets to be smoothed out over time. The Black Business Growth Fund™ (BBGF) is a fund of private equity funds managed by black asset managers focused on investing in the South African economy. 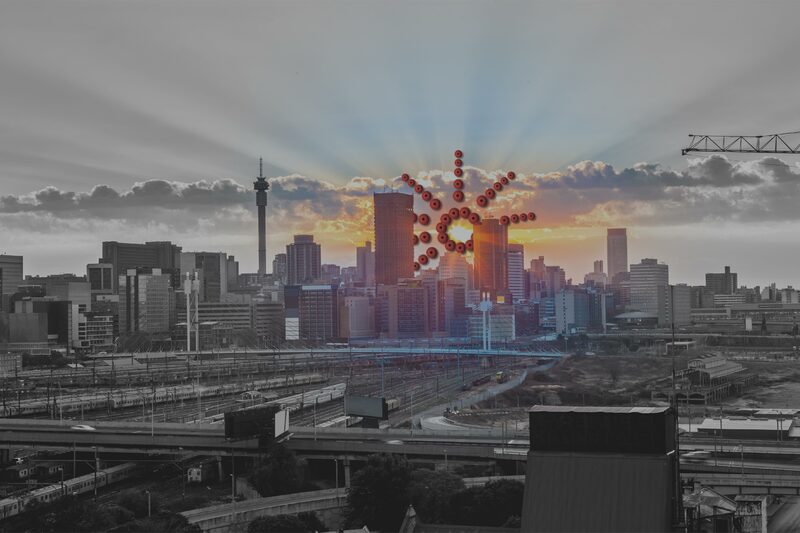 The BBGF is the first fund of its kind that provides investors access to excellent growth opportunities in unlisted South African companies while transforming the private equity fund management industry. The fund holds exposure to a highly diversified and transformed portfolio of mid-sized South African companies, and is expected to deliver returns in excess of South Africa’s listed market. The BBGF is also designed to meet the Black Business Growth Funding element of the Amended Financial Sector Code (FSC) of 2017. The provision of risk capital by measured entities to unlock funding for black entrepreneurs and black industrialists in the financial services and other key sectors of our economy was negotiated as part of the FSC. The BBGF meets all the requirements of the FSC allowing measured entities an immediately available solution to achieve their transformational goals and to claim scorecard points. The fund did its first close in December 2017.